Pastel and watercolor drawing. 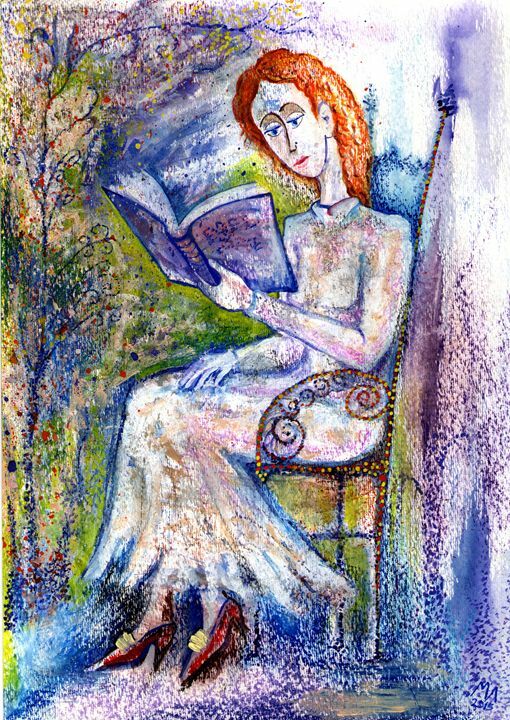 A beautiful girl reading a book.The picture is signed. The picture is in excellent condition. The Gallery opened on 4 of March 1999 and was among the first galleries set up in Sofia. Miniature Gallery is a small family gallery, which nevertheless displays a diverse collection of works of art. Here you can find works of both fine and applied art. 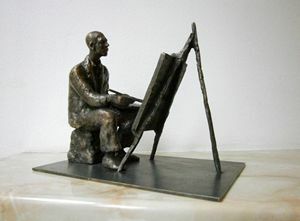 Author of the realistic small plastic works is Nikola Lichkov. 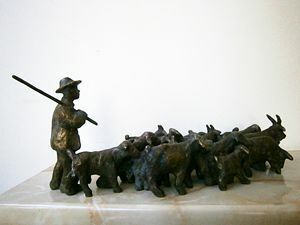 He has dedicated many years of artistic quest in the area of plastic art and form. 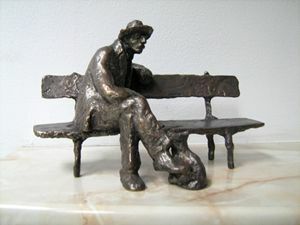 His statuettes are small-sized, yet deeply felt. When looking at them you can feel the warmth of every day life. 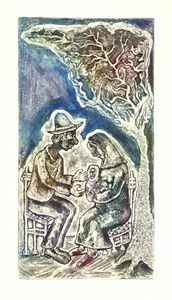 On display are also graphic works executed in the following techniques: engraving on linoleum and on plastic, dry needle, etching and mezzotint. Their author is the graphic artist Milen Lichkov who works in the field of graphic and drawing. His is also the collection of water colour and pastel paintings, where he deforms shapes to bring them sometimes closer to the grotesque and caricature. 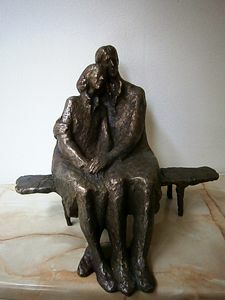 In his works Milen Lichkov also strives to convey the wealth of emotions in human relations. Born on May 28,1940 in the village of Zurnevo, Greece. 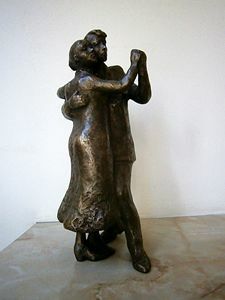 Graduated from the Sofia Art Academy in 1969. Since till 1995 active as lecturer in the visual arts. 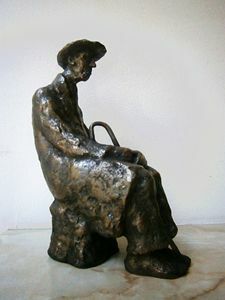 Admitted as member of the Union of Bulgarian Artists in 1972. 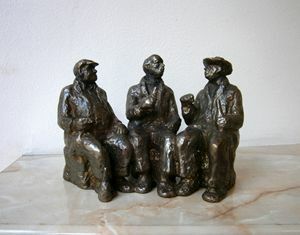 Has taken part in many exhibitions of the Union of Bulgarian Artist, as well as in group exhibitions in Austria and Italy. 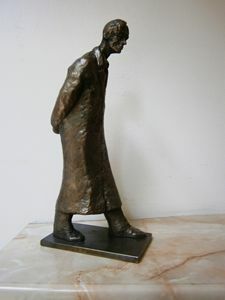 Works by him included twice in the Dante exhibitions in Ravena.2000-A jubilee joint exhibitions with his son Milen Litchkov in Sofia,Bulgaria.2000-A joint exhibitions of the Union of Bulgarian with his son-Milen Litchkov in Nicosia, Cyprus. Since 1989 works mainly in the field of small plastic forms. 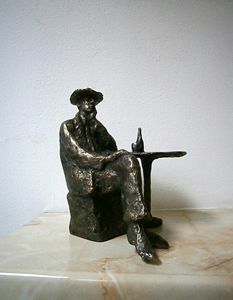 Works by him are owned by the National Art Gallery in Sofia, various art galleries in Bulgaria and art collectors in Great Britain, France, Belgium, Germany, Ireland and United States. The artist lives and works in Sofia. Born on September 26,1972 in Sofia. Graduated from the Sofia Art Academy under guidance Professor Galiley Cimeonov. 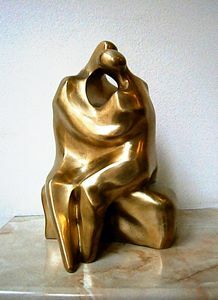 Admitted as as member of the Union of Bulgarian Artistes in 2001. Since then he has participated in regional and national art exhibitions in Bulgaria/International Print Biennial Varna 2001, 2003 and "Engraving little shape" in Sofia 2006, 2007, 2008. 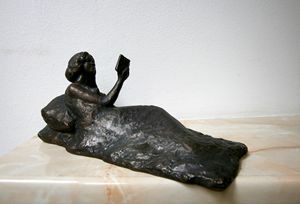 His ex-libris have been included in representative exhibits of Bulgarian Fine Art abroad /Slovakian and Poland/. 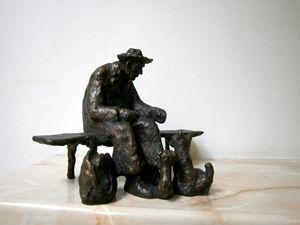 He has realized 2 join exhibitions with his father sculpture Nikola Litchkov /Sofia 2000 and Cyprus 2001/. 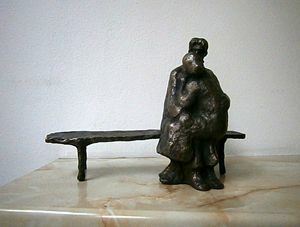 Some of Milen Litchkov's works are the property of private collection in Bulgaria, Germany, United States and France. Apart from the engraving he can also work in the field of book-illustration. The artist lives and works in Sofia.